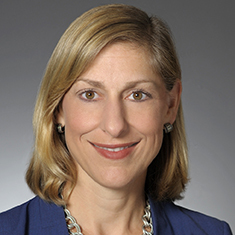 Julie L. Gottshall serves as the Chicago head of the Employment Law and Litigation practice. She practices nationally in the area of employment law, providing litigation representation and counseling on behalf of management. Julie assists employers in matters arising under federal, state and local employment laws, including Title VII, the Age Discrimination in Employment Act (ADEA), the Americans with Disabilities Act (ADA), the Family and Medical Leave Act (FMLA), the Fair Labor Standards Act (FLSA), the Worker Adjustment and Retraining Notification Act (WARN), the Illinois Whistleblower Act, and various state statutes and common law doctrines relating to employment. Julie also represents both companies and individuals in matters relating to unfair competition and the enforcement of restrictive covenants, such as confidentiality and non-compete agreements. In addition to her litigation practice, Julie negotiates and drafts employment and separation agreements and restrictive covenant agreements, conducts workplace investigations, provides management training, and advises employers on implementing personnel policies and mitigating risk in employment decisions. As a member of the Roster of Neutrals for the Employment Panel of the American Arbitration Association for more than 10 years, Julie regularly acts as an impartial third-party arbitrator in employment matters. Julie has decided arbitration cases initiated by employees (including high-level executives) and employers, involving discrimination, retaliation, harassment, wage and hour, restrictive covenants, and breach of contract. Previously, she served as an arbitrator for the Cook County Circuit Court mandatory arbitration process and became certified as a mediator for the Equal Employment Opportunity Commission (EEOC). Julie has conducted management training sessions through organizations such as the Law Bulletin Council on Education in Management and the Institute for Applied Management and Law and has taught a graduate-level course in Human Resources Law at Loyola University Chicago's Institute of Human Resources and Industrial Relations. A frequent speaker at industry conferences, Julie has also been quoted on cutting-edge employment law issues in publications including the Chicago Tribune, Crain's Chicago Business and Inside Counsel. Shown below is a selection of Julie’s engagements.